You can also get to this screen by going to Settings --> FV Player --> Setup --> Sitewide FV Player Defaults. Find the option called "Sharing Text". You can change it to anything you want. 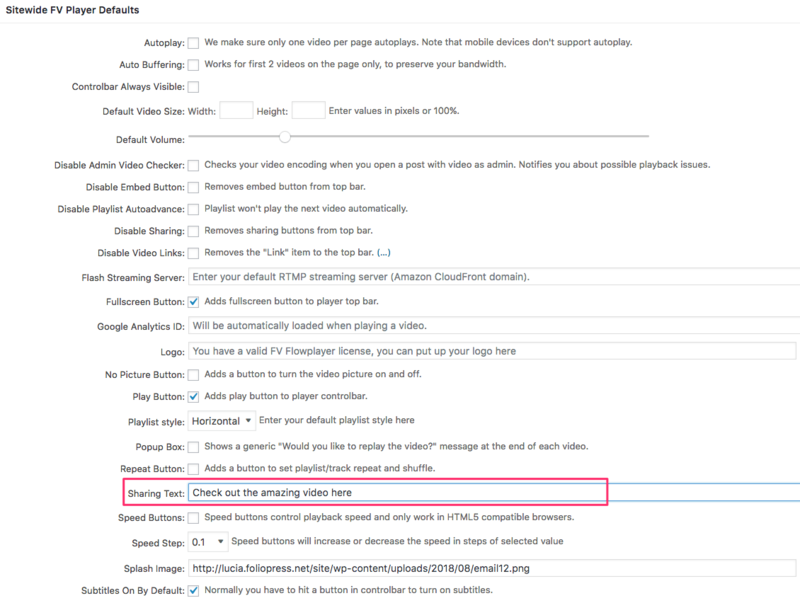 If you have any ideas on how we can improve video sharing, don't hesitate to let us know.